Rosario Rodriguez Writer. Spicier than a Hot Cheetos & Takis Challenge. Where would we be without it? Thinking about reapplying my makeup and dealing with uneven skin tone feels like living in the stone age at this point. Have you ever wondered how we started using this product in the first place? 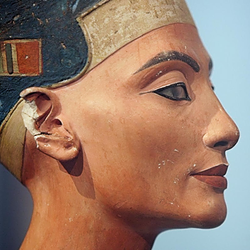 Nefertiti's slayage with eyebrows, contour and winged liner all on point has influenced makeup for millennia. Using makeup dates back to the Ancient Romans and Egyptians who used castor oil and red mineral pigments. For millennia, our use of makeup and the ingredients we put in it have evolved. Primers only came onto the scene in the early 2000’s intending to be for women who needed the longevity of fresh-looking makeup, like actresses. Osea, ¡no era para ordinarias! Jennifer Lopez rang in Y2K with flawless skin in her video for "Waiting for Tonight". Yes, we know, she looks exactly the same! Primers only came onto the scene in the early 2000’s...for women who needed the longevity of fresh-looking makeup, like actresses. Once women started using primer as part of their routines though, they were hooked! Can you blame them? Women everywhere were loving the effects (and benefits) of this wonder product. 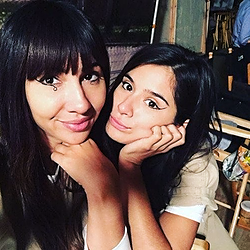 Just in case you haven’t heard all the great things about primer, this is why you need primer in your life like Flaca needs Ramos. We can learn a thing or two about this beauty-obsessed dynamic duo! Now that we have it, there are different types for all your beauty needs, including lip primer and eye lid primer. As every artist knows, prepping your canvas is important! Known as the spanx of cosmetics, primer hasn’t been in the game for too long but it’s not going anywhere any time soon. This stuff is just too good! Wear it alone or with makeup - it's versatile! For those who are acne prone, are susceptible to hyper-pigmentation or suffer from skin allergies, we highly recommend a silicone-free primer because formulas tend to be free of potential irritants. 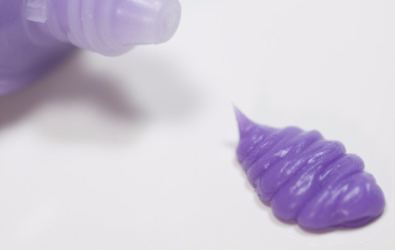 Because of this, we actually recommend silicon-free primer for daily, every day use! This helps keep pores unclogged without the synthetic feel. Find one that has moisturizers for that extra oomph! But, for those of you who are seeking for that snapchat-selfie-filter-applied-to-real-life look, silicone based primers are the way to go. Great for filling in fine lines, wrinkles and pockmarks. A heed of warning, though: try to save this product for special occasions if you'd like to keep your skin smooth as silk since silicones aren't a natural ingredient that can easily be absorbed your skin. 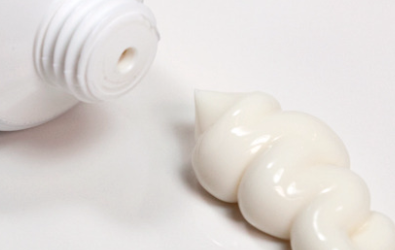 Silicone-Free primers feel like a moisturizer and contain skin-quenching ingredients like coconut water and jojoba oil. Silicone-based primers are a great way to give you an IRL blur filter. They also come in different colors to help with discoloration issues. Ready to embrace the benefits of primer? Sign up to receive sneak peeks and exclusive updates of our upcoming Latina-inspired makeup and skincare products (primer included!). Become a #Seañorita! And if you don't know, ya tu sabes.